Missing teeth can affect your oral health, make eating difficult and keep you from smiling like you once did. At Dentalcare Associates, we are committed to helping patients improve their overall health and quality of life. In the past, traditional bridges and dentures were the only options for tooth replacement. Advances in dentistry have made it possible to replace missing teeth with dental implants that look, feel and function like real teeth. Strong and stable, an implant is a biocompatible titanium post that acts like a real tooth root. It is placed in your jawbone and once it is properly fused with the bone, a natural-looking crown is attached to the top. Implants can be used to replace single or multiple teeth; and in some cases, as few as 2-4 posts can support a full set of teeth using implant dentures. When the procedure for a dental bridge is performed, tooth structure of adjacent teeth must be removed to accommodate and attach the bridge. With implants, no other teeth are affected and the results are stronger and more permanent. More and more people are choosing implants as a solution for multiple missing teeth. Dentures often slip around and may feel uncomfortable. They can affect your speech and eating habits. Dental implants preserve your remaining jawbone and maintain your facial structure, which is good for your oral health and your appearance. Performance--Implants are fully integrated into the jawbone and perform just like real teeth. Improved oral hygiene—Single tooth implants are easy to clean. You can brush and floss your implants exactly as you would your natural teeth. Comfort—With implants, you can enjoy eating practically anything you want. Aesthetics—Implants look natural and blend right in with your other teeth. Bone preservation--A dental implant actively holds the jawbone in place and prevents bone loss. Staying power—With proper care and good oral hygiene, implants can last a lifetime. While the initial cost may seem substantial, they are a permanent solution that will save you money in the long run. 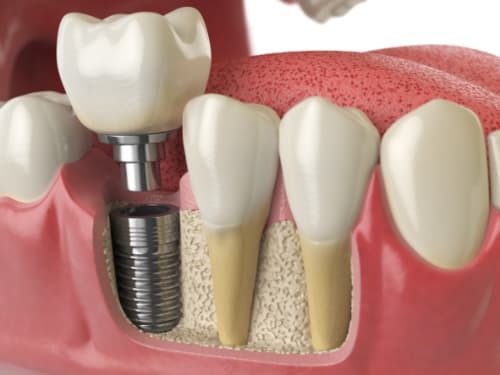 For more information about the amazing benefits of dental implants in Scotch Plains, NJ, contact Dentalcare Associates to schedule an appointment today!